Research has shown the pet ownership along with the increase in per capita expenditure on Pet care is increasing day by day and it is expected to reach nearly $2.4billion by 2022. And most of us won't believe but it is estimated that pet owners are going to spend more on wearable devices than on food by next year. The use of wearable technology has been increasing day by day both for humans as well as pets. People nowadays are focusing on the health and fitness of themselves as well as the fitness of their pets. A perfect health solution for Dogs, Fitbark is a combination of software and hardware. The device can be attached to the dog collar which monitors activities, sleeping quality, calories burned, health and distance at all times. Now in generation 2, it uses an accelerometer to track your dog by setting input as goals with activities. The expert mobile development team at Let’s Nurture has ample experience in working with such hardware devices and protocols to fetch the data and use it to show various parameters through a high quality and user friendly application leveraging custom mobile app development. 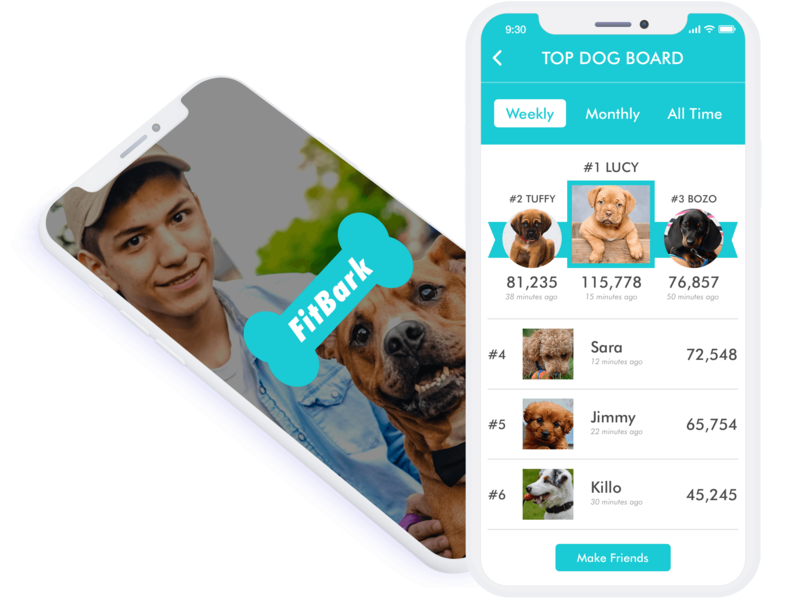 FitBark is a health and fitness app for your dog which basically monitors your dog’s everyday activity, sleeping hours and turns that data into deep, actionable health insights. FitBark motivates the dog owner and the dog to be active, by explaining changes in behavior as well as the dog's health. Looking to develop your own Pet fitness app like FitBark? There are huge business opportunities since the fitness and healthcare industry for Petcare is growing globally. We are a team of experienced app and software developers, UI/UX designers, product managers and business analysts who can support you in achieving the very heights you aspire to take your business up to. We have an extensive experience in developing apps for clients as per their specific demands, briefs and needs. In addition to this, we can help you add an analytics system to help you study user behavior on your app and a chatbot API for allowing your user to interact with an AI-powered instructor. The data is generated by the user behavior and the general browsing patterns within the app. These dashboards help you get a better understanding of the data using custom metrics and analytics reports. Using an artificial intelligence powered conversational chatbot, you can use information available on the app in a more interactive and engaging format. 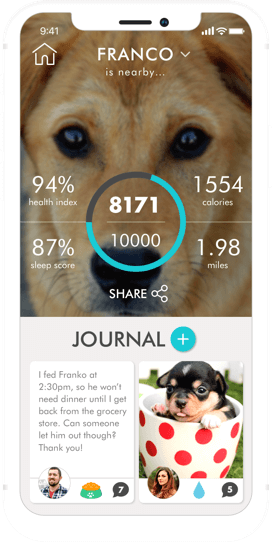 How Let’s Nurture can help you to develop a health and fitness app for dogs? Let’s Nurture is an ISO 9001:2015 certified mobile app development company. Our Android/ iOS app developers, business consultants, web developers, and designers are savvy of business ideas across all industries. Their understanding of client requirements especially in the health and fitness industry helps in delivering a quality product with flawless UI/ UX with best-in-class features. Expertise in developing healthcare apps with a rich portfolio. Experts with rigorous experience in developing iOS/Android apps. Consultation on strategic features and their development. Development within the confines of Apple and Google Play Store Guidelines. We guarantee app approvals on both iOS and Android app stores. Are you looking for your own health & fitness App Development? Can you develop a smart health and fitness tracking mobile apps for humans? Absolutely. Given our 10 years of expertise in custom mobile app development on both, Android and iOS platforms, we have developed number of healthcare and fitness apps for our clients globally. View our portfolio to look out for health and fitness apps. Will you also develop or provide the hardware component for this health tracking solution for dogs? 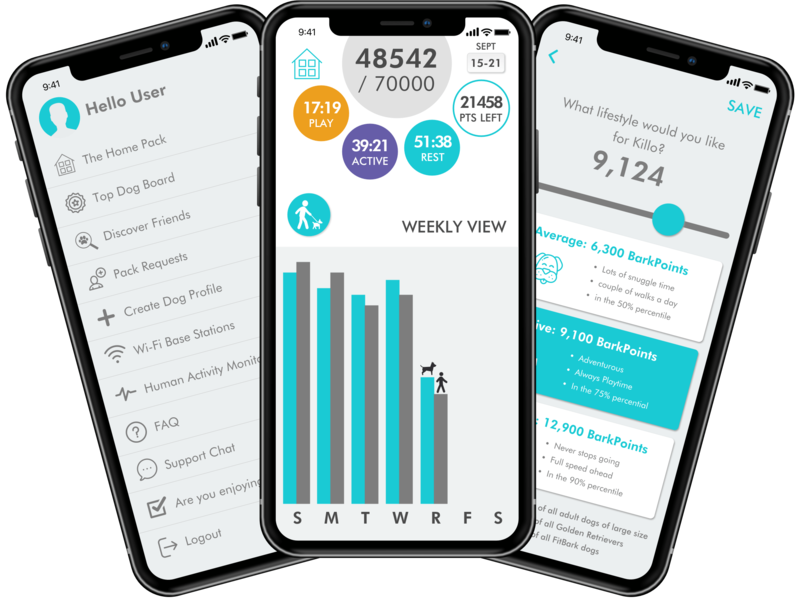 We can make compatible mobile app solution which can work perfectly with health tracking devices for dogs available in the market, such as Tagg, Fitbark, Whistle, Petkit, Link AKC and so on. Do you provide option to hire dedicated web and mobile developers for my project of health tracking app development for dogs/ pets? Yes, we do provide flexible hiring models consisting highly skilled and certified resources (web developers, Android app developers, iOS developers) which are well versed in mobile app development projects for diverse industries using latest and cutting-edge technologies. Which cloud server I would need to integrate for my health and fitness tracking app development project for dogs/ pets? And who will set it up? This is to be decided based on region specific industry best practices. Ideally, we recommend 50% advance and 50% escrow to be released after satisfactory level services verified by customer.Should booking require full payment in advance? Have an idea or need help with Health & Fitness app for Pets like FitBark?